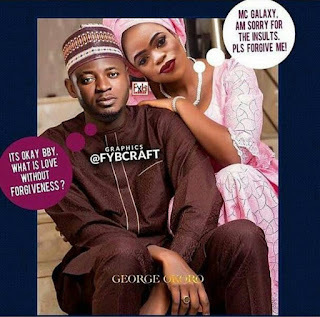 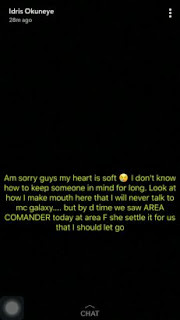 The controversial male cross dresser, Idris Okuneye, popularly known as Bobrisky, who revealed recently that he has ended his beef with singer Mc Galaxy, has again taken to snapchat to reveal that his beef with the singer is totally settled. 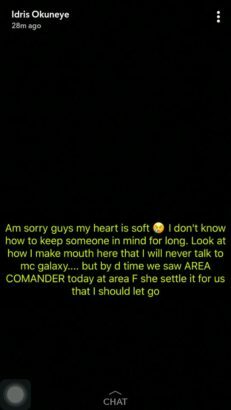 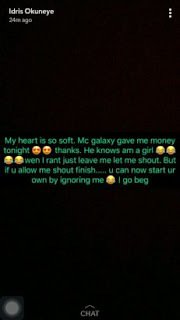 Bobrisky revealed that MC Galaxy gave him some money shortly after they met a Police Area Commander. 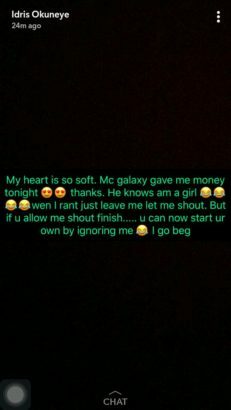 Bobrisky also revealed that the singer knows he is a girl, and allows him to rant when he can.